On March 7, 2014 at the SXSW Festival, Sony Pictures Worldwide Acquisitions (SPWA) announced that they acquired the international rights for Jack Plotnick’s comedic drama Space Station 76. 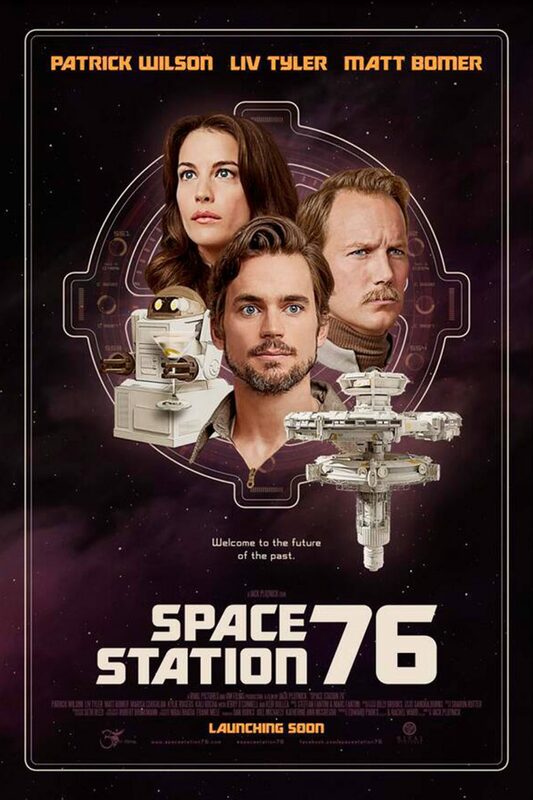 This futuristic comedy stars Patrick Wilson (The Phantom of the Opera), Liv Tyler (The Incredible Hulk), Matt Bomer (Magic Mike), Marisa Coughlan (Teaching Mrs. Tingle), Kylie Rogers (Private Practice), Kali Rocha (Meet the Parents), Jerry O’Connell (Stand by Me) and Keir Dullea (A Space Odyssey). The comedic drama about revolves around a group of people — and several robots — living on a space station in a 1970s version of the future. When a new assistant captain arrives, she inadvertently ignites tensions among the crew, prompting them to confront their darkest secrets. Barely contained lust, jealousy and anger all bubble to the surface, becoming just as dangerous as the asteroid that’s heading right for them. Written by the director himself, he is joined by other veteran writers Jennifer Cox (The Brady Bunch Movie), Sam Pancake (A Lot Like Love), Kali Rocha (Meet the Parents) and Michael Stoyanov (The Dark Knight). Plotnick also expresses his happiness in working with SPWA. We are thrilled to be working with SPWA as our international distribution partner and are excited for the film to reach a large, earthly audience. While SXSW Festival goers are also thrilled about this new collaboration, it is also a little surprising that this happened right before audiences got to see the film the next day on March 8th. Why is this film only being promoted at this festival? The idea, according to a review in The Collider, is very original with a successful mixture of comedy and science-fiction with amazing production design. Whatever the reason may be, hopefully Space Station 76 can bounce off the attention it receives at the festival and get enough momentum to play in theaters across the globe.